New Hub student housing tower! Texas developers are planning a third student-housing high-rise on East Speedway next to the pair of Hub sister towers near the University of Arizona campus. Core Campus Investment Partners, parent company of the two Hub towers, bought nearly 30,000 square feet of land along Speedway near North Park Avenue. The company says it plans to start construction next year and open the new tower for the start of the 2019 school year. Two Speedway restaurants, Mama’s Hawaiian Bar-B-Cue and Boca Tacos y Tequila, will be displaced. The Boca site, at 828 E. Speedway and once home to Greasy Tony’s restaurant, sits on 6,909 square feet of land and was purchased from 828 Investors LLC for $1 million. 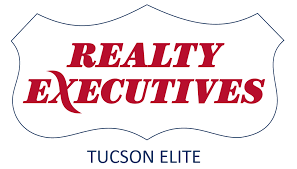 A lot and the Mama’s restaurant, at 830 and 850 E. Speedway, as well as a lot at 1051 N. Tyndall Ave., totaling more than 22,000 square feet of land, were bought for $3 million from Gee Properties-2 LLC. Mama’s is expected to close the UA location in May, said Melody Gregory, its general manager. The restaurant is in negotiations with Core Campus to have a retail presence in the first Hub tower, she said. Mama’s has also leased space for a new restaurant at the Fry’s commercial development on First Avenue and Roger Road. There are currently three other locations in Tucson. The Speedway restaurant is the only location for Boca Tacos y Tequila and its first. Opened in 2010, Boca will move to a bigger location, she said. Mazon said she was not ready to disclose its new location because the purchase of the new building is pending. As soon as the location is confirmed, Mazon said she will let her customers know. Boca will close on May 31, and Mazon said she hopes to open her new restaurant June 1. The new tower will likely have a Hub brand, but it has not been decided if it will be a Hub 3, said Ben Modleski, chief operating officer for Core Campus. “We don’t have plans finalized yet, but it will likely be smaller than the first Hub,” he said of the 14-story tower. Hub 2 Tucson is six stories tall. Both Hubs are currently 100 percent occupied and 98 percent pre-leased for the 2017-18 school year. Both feature amenities such as spas, rooftop terraces and study rooms equipped with computers. “The design and customer service resonates with the students,” Modleski said. Broker Debbie Heslop, with Volk Co., represented Core Campus in all of its local land acquisitions. The student-housing market has been booming in Tucson over the past several years. The complexes have maintained high occupancy rates and command rents almost double that of market-rate apartments. A tower is expected to rise next to the Chase Bank on Park Avenue, south of Speedway, and developers are eyeing a site on Broadway and Park Avenue.